I recently started filling my prescriptions (well - the one prescription I have) at C.O. Bigelow on 6th Avenue. Not because it’s convenient or on the way home, or really for any functional reason. But because it’s an excuse to explore their trove of beauty treasures, and buy a thing or two (three, four) at least once a month. It was love at first entrance. I don’t know why I didn’t do this sooner. C.O. Bigelow carries everything from Crest White Strips to Nars Cosmetics to Maison Francis Kurkdijian fragrances and every (single) thing in between. Cult of C.O. Bigelow could be an entire blog on its own. 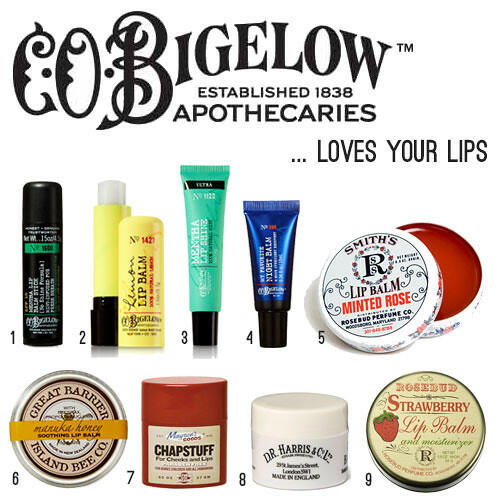 During my last visit, upon checkout, I was waiting and couldn’t help but reach into the glass jars filled with all of these things for your lips! Really, just jars and jars. It felt like grown up Halloween, but better. And granted - not free. Mentha Lip Shines in all different flavors, over night balms, rose tinted slaves, lemon lip creams, brands I’d never heard of or seen. It takes lip care products to a whole new level. I restricted myself to only one new item (insane amounts of self control, I know) and it was #5 Smiths Minted Rose Lip Balm. It takes the classic Rose Slave and adds a hint of mentha mint. We are best friends now.